This moderately aggressive skin care routine, with highly advanced anti-ageing ingredient technology, is designed to help reduce the appearance of early or significant signs of environmental and chronological ageing. 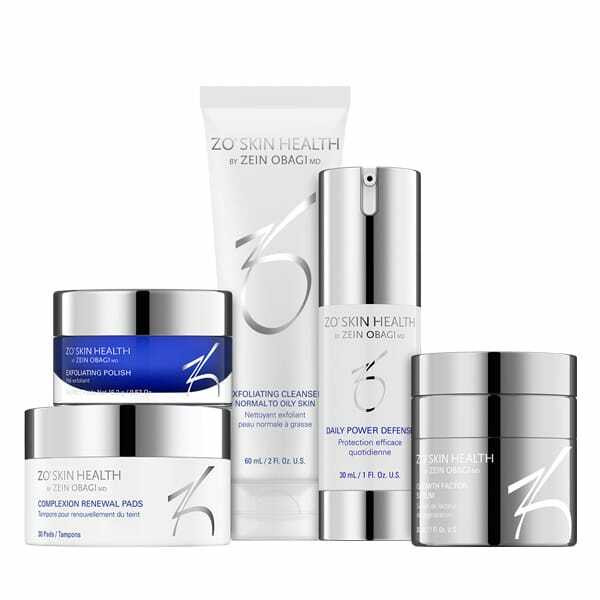 The Anti-Ageing Program uses potent ingredients, concentrated formulas and aggressive delivery systems to improve and strengthen skin’s appearance and to protect against future damage. Helps reduce the appearance of fine lines and face wrinkles. Promotes a more even-looking skin tone and finer pore appearance. This skin care routine preserves and maintains a more youthful complexion. Helps prevent future skin damage by protecting against the harmful effects of the sun. Program ContentsExfoliating Cleanser – 60 mL / 2.0Fl. Oz. Exfoliating Polish – 16.2 g / 0.57 Oz. Daily Power Defense – 30 mL / 1 Fl. Oz. See individual product pages for specific directions on each product.